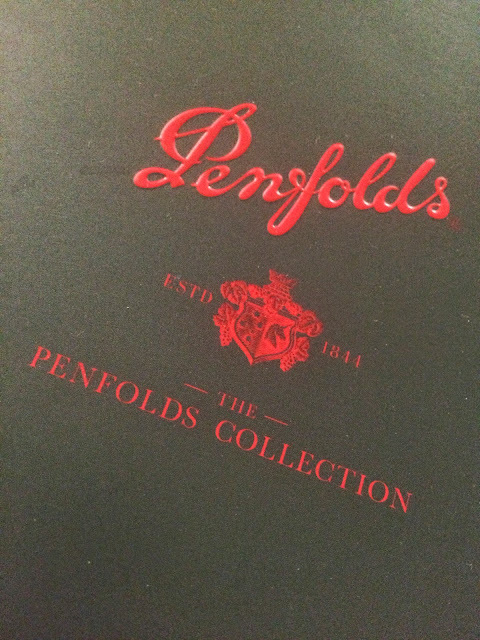 As slated back in June, Treasury Wines are officially bringing the release date of the Penfolds Bin Series and the Icon & Luxury Collection forward to the 16th October this year, effectively combining what used to be two releases (in March and May respectively) into one super collection. What that means is that, for the first time ever, the famed Penfoldstravaganza has happened twice this year. Twice us scribes have experienced what Campbell Mattinson cheerfully calls the ‘Gago show’*. Twice everyone will witness an avalanche of huge points heading in a Penfolds direction. Twice phrases like ‘Grange allocation’ and ‘where can I buy more 707’ will be uttered in liquor stores around the nation. To be honest, it makes absolute sense to move the Penfolds release date to October. For one, it doesn’t interrupt harvest, so winemakers can actually get out and sell the wines. Two, it means that new Penfolds wines will hit stores in time for Christmas, Thanksgiving, Chinese New Year and the rest. Three, it means that the wines are released in the cooler spring (compared to March at least). Four, it means 8 months until the end of the financial year to sell everything and five, it’s great for cash flow to sell two releases this year! 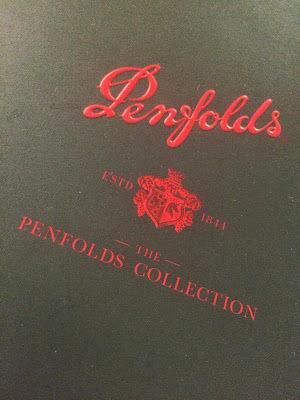 In all seriousness, there is much to like amongst this slightly unusual Penfolds Collection. Much of the release comes from the 2012 South Australian vintage, which Penfolds winemaker Steve Lienert believes shares much similarities with the even, near perfect 1996 vintage (which was an epic Penfolds year). Further, while some wines remains stuck in a style (like 707), the subtle evolutions of oak and tannin management seem very positive. Most importantly there are no price increases this year, which is probably a smart move. 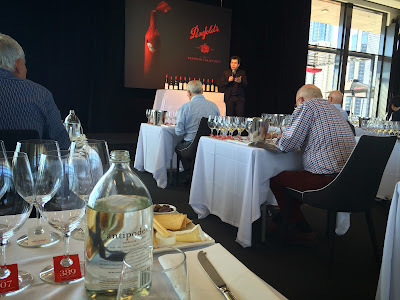 I went through all of these new release Penfolds Collection wines in a huge, meticulously planned press masterclass last week. A masterclass that, interestingly, had less Gago and much more time for introspection, with most of the nations wine press all sat at individual tables in exam-like silence. It’s serious business tasting Penfolds. Anyway, onto the wines. All of these were tasted non-blind, in good tasting conditions, but still rather quickly. Background notes are in italics, RRP in Australian dollars. All wines available 16th October (in Australia at least). *(Peter Gago, Penfolds chief winemaker, is one of the the most engaging winemakers I know of, though the man can talk. The Gago show is good value regardless, particularly as he is surprisingly frank, honest and quite entertaining). Eden Valley. 12.5% alc. pH 3.13. TA 7.1g/L. $30. Hand picked and whole bunch pressed to barrel before a wild ferment on solids with full malo. 9 months in French barriques. 40% new, 60% 1 year old oak. 13%. pH 3.15. TA 7.0g/L. $100. Derwent and Coal Valley, Henty, Adelaide Hills. 8 months in barrel with 45% new and the rest one year old. 13.2%. pH 3.21. TA 7.0g/L. $150. McLaren Vale, Wrattonbully, Langhorne, Barossa Valley, Padthaway, Upper Adelaide. 13 months in seasoned American oak hogsheads. 14.5%. pH 3.64. TA 6.5g/L. $40. Only wine in the portfolio to see puncheons. All from Maranga in the western Barossa. 14 months in 25% new French oak, 25% new American oak, 25% one year old French oak, 25% American oak. 14.5%. pH 3.67. TA 6.0g/L. $80. Wrattonbully, Padthaway, McLaren Vale, Coonawarra, Langhorne Creek. 14 months in 22% new French oak and 78% American hogsheads (19% new, 16% 1yo, 43% seasoned). 14.5%. pH 3.56. TA 6.7g/L. $80. McLaren Vale, Barossa Valley, Adelaide Hills. 12 months in 50+ yo large oak casks. 14.5%, pH 3.65. TA 6.6g/L. $95. Handpicked, open fermented and basket pressed to barrel. 12 months in 65% new French, 30% new American and 5% 1yo American oak. 14.5%. pH 3.62. TA 7.5. $130. Thanks for the insight into this unique event and how it unfolds. It sounds like it would be quite a sight being there and witnessing all that takes place. Thanks for that Andrew. Might give the 389 and Marananga a go, and decant the former for half a day by the sounds of it! Exactly. It reminds me of the 98 which was barely drinkable on release (and now looks great).